The NFL season will end with Super Bowl LII on Feb. 4, 2018, in Minneapolis, Minnesota. Though the game will be played more than 1,000 miles away, Tulane students and staff alike are preparing to watch and celebrate this weekend’s big game. This season finale features two starkly different teams: the underdog Philadelphia Eagles and the reigning champion New England Patriots. While both teams have reached the final game of the season, each took an entirely different path to the national spotlight. New England came into the 2017-18 season as an automatic contender given its record of reaching seven prior Super Bowls since 2002. Quarterback Tom Brady, who recently turned 40, has had one of his best seasons yet, passing for 4,577 yards with a 102.8 passer rating. An ageless Brady, together with superstar tight end Rob Gronkowski and a solid secondary, could prove difficult to beat. Philadelphia, on the other hand, came into the 2017-18 season labeled as a defensive powerhouse but with a young, inexperienced quarterback. North Dakota State product Carson Wentz quickly proved these doubters wrong, launching himself into MVP consideration after a 3,296-yard, 101.9 passer rating campaign. Had Wentz not torn his ACL on Dec. 10, the Eagles may have actually been favorites in this game. So, what does this remarkable event mean for Tulane students? As always, there will be a large gathering at The Boot Bar & Grill and other local bars to watch this historic game. Many football fans and casual party-goers, however, will be spending their evenings at smaller gatherings. Students will be traveling all across town to watch this highly anticipated event. Freshman Jackson Arnold will be watching the game alongside his brothers in the Phi Kappa fraternity, while freshman Miranda Hawthorne will be traveling farther off campus to enjoy the game projected at a friend’s house party. Freshman Humzah Khan attempted to buy airline tickets to enjoy the game within his hometown in New Jersey. Students, however, will not be the only ones enjoying the evening. Even Tulane President Michael Fitts, an avid football fan, will be at home “trying not to eat too much” and “relish[ing] both the game and the commercials.” A Philadelphia native, Fitts is looking forward to cheering on his hometown Eagles. Though he was born in Philadelphia, Fitts has grown more partial to the Saints, and, though excited for his hometown team, hopes for a “Black and Gold Super Bowl” in the coming year. Tulane’s numerous northeasterners and bandwagon fans will be sure to be watching this match up. For the rest of the Tulane community, well, there is always next year. 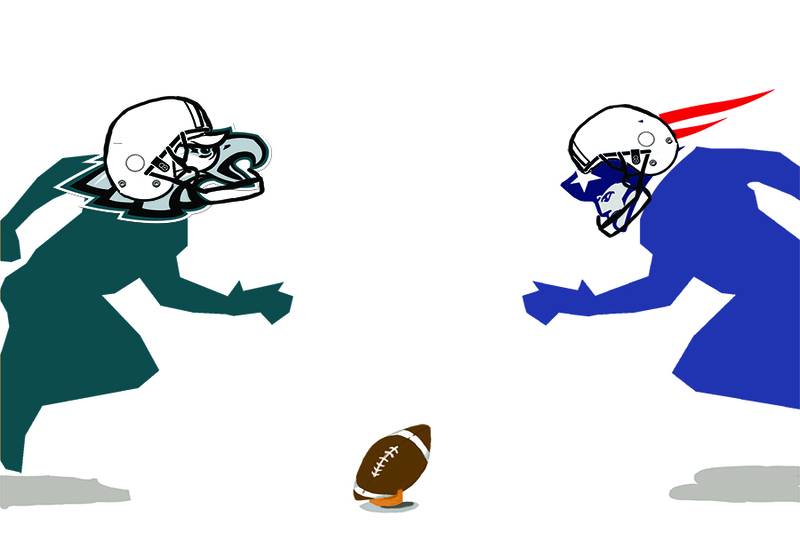 For now, just sit back and take in this thrilling match up of the dynasty and the underdog. Oh, and don’t forget the commercials. Carrigan English contributed to the reporting of this article.